Another lovely instalment of Street Style Sunday and I can't believe its another week later and I am now 27 weeks pregnant - ahhhh where is the time going. The bump has grown loads in the past 3 weeks and I am now officially squeezing out of my normal clothes into maturity clothes, except in this outfit post which may be the last of me in non-maternity fashion. 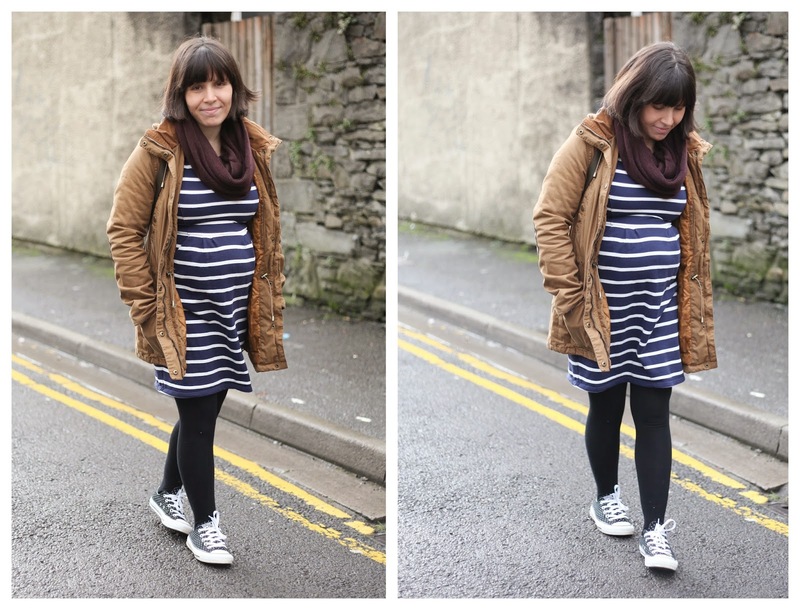 I love that my Joules dress naturally fits my growing bump and it's lovely and thick and perfect for Autumn and Winter. I also picked up this jacket from H&M in Amsterdam when we were there a few weeks ago, it just has such an autumn feel to it. As always I have paired up with the lovely Natalie over on Style Me Sunday to bring you Street Style Sunday linky - you can link up with any fashion related posts including mood boards, wish lists and what you and your family are wearing. Try share the love as we would like to get as many people involved as possible. 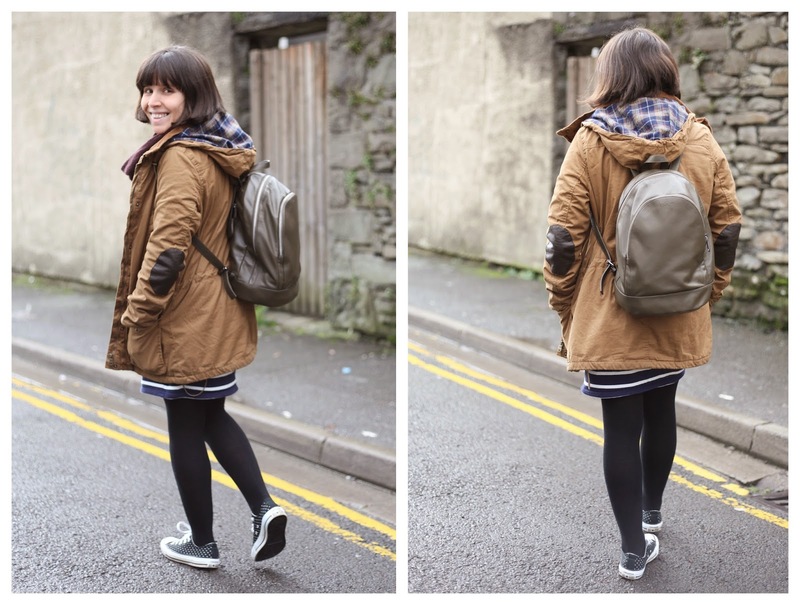 Ooh, I've been looking for a rucksack, very handy with a toddler! I'll check Kipling out!